Spend more time shooting and less time reloading with this extended magazine for the Savage A22 from Butler Creek. 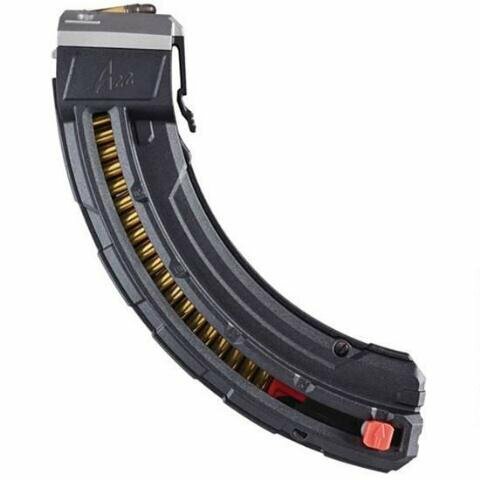 The polymer magazine holds 25 rounds of .22 Long Rifle ammo. It features an all metal header and feed lips for reliable feeding, and a side window shows remaining rounds. It can be loaded traditionally or by using the red loading assistance lever. The spring is stainless steel for long lasting reliablility.